CURT anti-rattle pins and locks offer smoother, quieter towing for a more enjoyable ride. 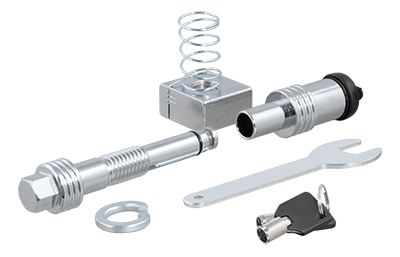 An anti-rattle pin has a threaded shank to tighten down on the ball mount and keep it from vibrating. An anti-rattle lock adds even more security with built-in key operation.